The Mussenden EP was written by Carbon Electra (otherwise knows as our very own Davide Carbone) and Olly Davis whom Davide met whilst Olly was studying the Production Masterclass at School of Synthesis. Rachel Rothfield a student of School of Synthesis shared her tracks with her tutors. Davide Carbone decided to produce the album which has now been released as 'Fading' by Wensday. How much music does a typical full time producer write in a year? 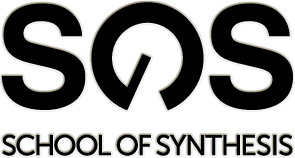 School of Synthesis tutor Davide Carbone takes us through his productivity in 2016.